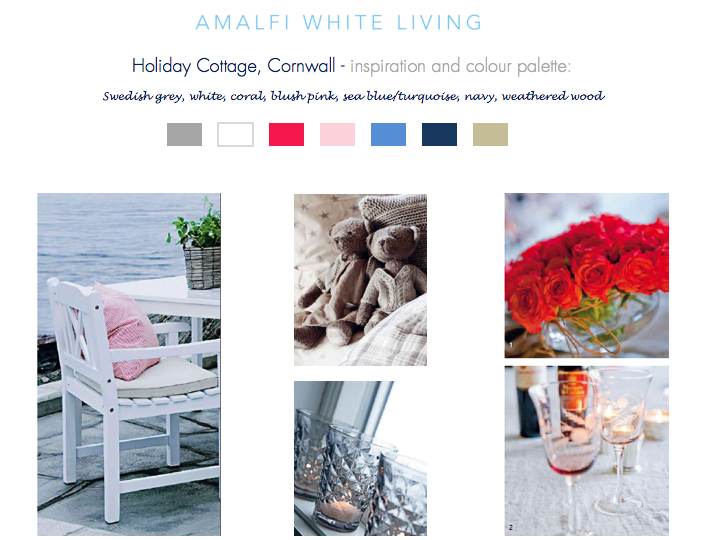 I was asked to provide inspiration for the total redecoration of a Cornish holiday cottage in a beautiful fishing village by the sea. The first step was to create a palette and a look to inspire the overall design. The basis of the palette is the colours of Cornwall itself – colours of sky, cloud, sea and weathered wood. I then added coral and blush pink as accents and complementary colours to enliven and extend the palette.